Did I promise to tell how Mark Brennan from Link Records found out about The Braces in 1988? Then I better deliver. At the end of this text you will know even more. You will have learned the 7 steps that were necessary to get on “Skank – Licensed To Ska” – and make the most of it. If you’re in a band you probably want each and every of your shows recorded, just as we did: to learn, to show off, or just in case something magical might occur (which happened once or twice with The Braces). Now knowing about the complexities at hand it is a big thumps-up for the successful group effort in Hannover, at the end of which actually stood a recording. When I received a copy some weeks after the event my feelings were ambiguous. I was happy with the artwork, but deeply concerned about the content. Of our previously recorded gigs, some had come out okay, others at least good enough for fond memories. But due to musical issues as well as tuning and sound problems, the tape from “Ska Against Apartheid” had to be filed under “Unlistenable.” 100 copies had been made. If I ever approached anyone trying to sell a tape to them, it was with a feeling of guilt. Deep down inside I thought it was a scam. Antje, one of the organizers of “Ska Against Apartheid”, obviously did not share my concerns about the tape’s quality. Coz I know she would never take part in a scam. Yet, five months after the festival she merrily offered five copies for resale at a clothes shop off Carnaby St. (Shelly’s?, Sherry’s?) during her holidays in London. Not sure how exactly one of these tapes reached Mark Brennan from Link Records. We have to leave that part for him to tell (preferably in a Ska TV documentary, if interest in this musical style should ever go through the roof). I don’t expect him to announce that he grabbed the potential of The Braces on first listen to that tape. If he says that, he must be a lyer. Or a complete genius. Having invested in a recording session before, we were better prepared for Mark’s enquiring letter concerning “Skank – Licensed To Ska” than some others. The Blue Beat sent back recordings from their rehearsal room… and still got a slot on the compilation. 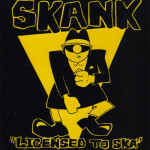 Whoever had the brilliant idea to print the contact addresses of the bands involved on the cover of “Skank – Licensed To Ska” – I have to thank him or her eternally. We were (and I am still) touched by the response from Ska lovers from around the world. The hunger for information, the will to connect and the love for this music led us to believe that we were doing something not completely wrong. Following an earlier posting some very nice comments reached joescholes.com, in which people shared their stories. A brilliant read. I recommend you check the comments and add something. The next chapters in this account of the ups and downs of a Ska band will include a tour through the UK with a spot at the First International Ska Festival in London and the search for a manager. 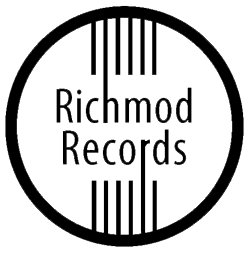 If you want to be reminded, just sign up for the newsletter or the rss feed. And don’t forget to drop a comment. Haha, nice read as always and somewhat brave to upload these recordings methinks… Good fun to listen to, although it started turning into kind of torture after while 😉 I was surprised about how many songs I’d never heard before but also, that Julie Julie is THAT old! it was brave of you to listen to the set the whole way through. Thanks. Yes, setwise there was quite a way to go from 1987 (the time of this live recording) to our finished album in 1989. The Braces line-up changes were also numerous. I will possibly get into that in some of the next postings. But to be honest, I can’t wait to write about the UK tour at the end of 1988 with spot at the First International Ska Festival (in some respects the height of the hype). And I am glad to see you on stage in April 2011 with Intensified. I have this tape you speak about… i’ve recieved it from a member of the Braces when i wrote an article ’bout the band in my skazine “The Nutcase” in 1987 or 1988. And it was a great time and a great listening for me. And in a way this tape (and your first LP) give me the way to invite you for a Gig in France (it was your first appearance here in France)… you don’t play during this ska festival ’cause of a big fight in the public… but it’s another (sad and bad) story!! thanks for the comment. And yes, I remember the show in Le Mans very well. For the Ska fans there I am very sorry that we didn’t get on stage (the only time that The Braces did such a thing in my recollection). I will probably get into this affair in another post here on the blog. There are a bunch of other topics lined up at the moment. And chronologically there is some other things to cover first. But expect me to contact you about your take on the story.